If a Yarn Bomb Explodes in a Forest and No One Is Around to See It, Is It Still Art? 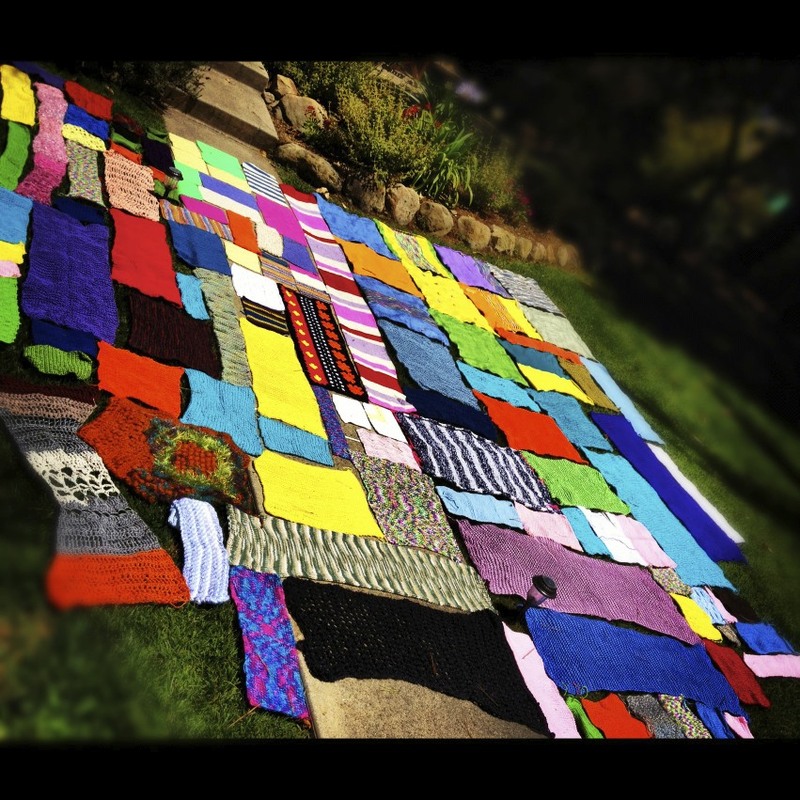 For the past 3 months knitters from around the world have been knitting and crocheting swatches to be a part of this unique and 1st of its kind, Santa Barbara event. 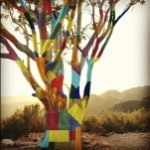 It all comes together Friday, June 8th, 2012 beginning at 5:00pm when a group of volunteer knitters and supporters will meet at the Cold Spring trailhead for the 2.6 mile hike up to the most popular Eucalyptus tree in Southern California. We will be wrapping the 30 foot tall Santa Barbara fixture with almost 400 square feet of yarn to bring attention to the beauty of our trails, art for art’s sake and the benefits of a purely analog activity in a digital world. The exhibit will remain until June 17th, when it will be removed forever. Nothing but yarn will be used, so no damage will come to the tree. This yarn bomb marks the completion of my 12for2012 Learning Resolution #4. (Click Here for full details). Swatches have been contributed by knitters from California, Montana, Minnesota, Florida, Georgia, Connecticut, Pennsylvania, Virginia, Washington, Oklahoma, Alabama, Maine, London, Paris, Bulgaria, South Africa, Chile, Indonesia and New Zealand. Once the bomb is defused, all material will be donated to Warm Up America where they will be turned into blankets, hats and scarves for those in need. This is not an officially sanctioned event. I am merely letting people know that I will be doing this at a predetermined time. You are responsible for your own safety and your own trash.